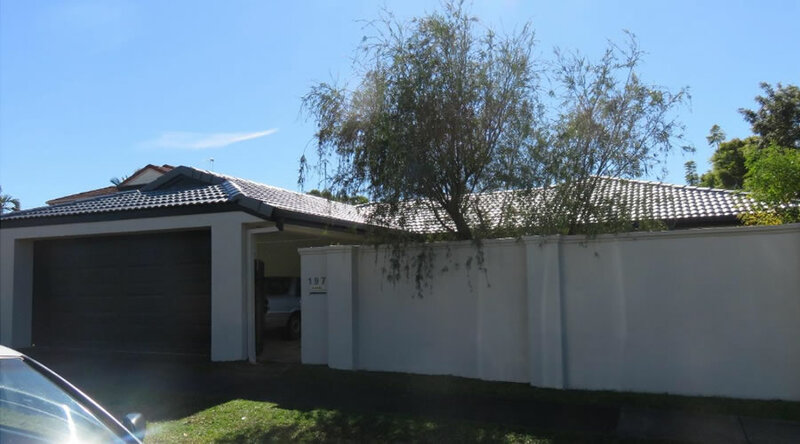 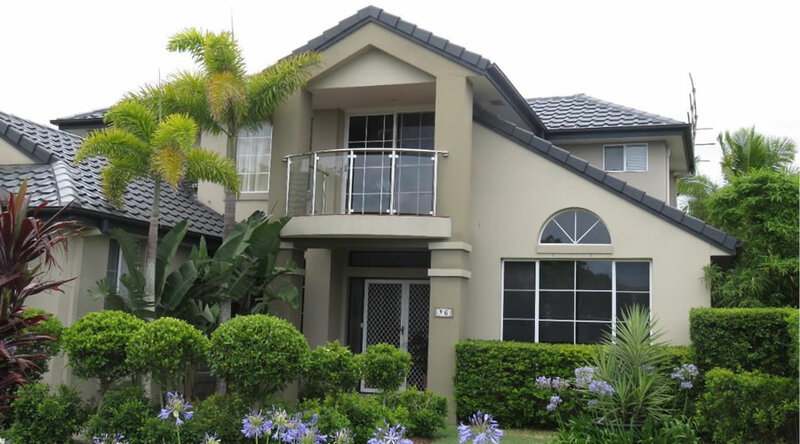 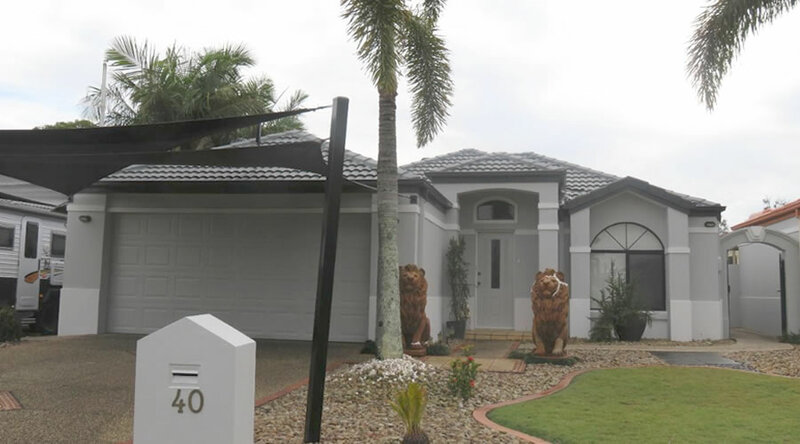 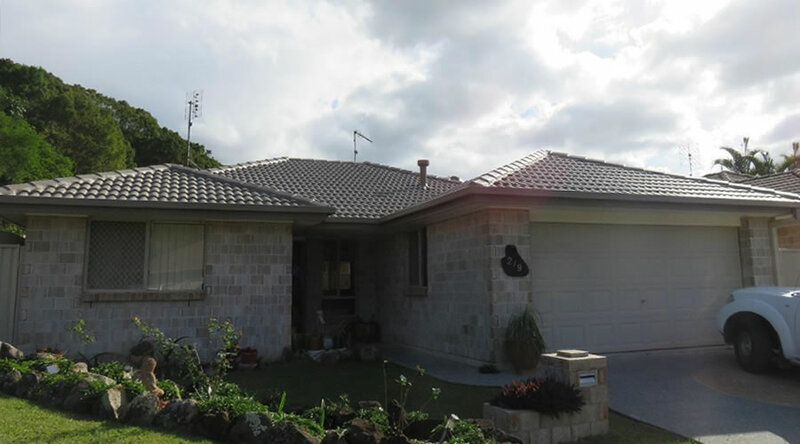 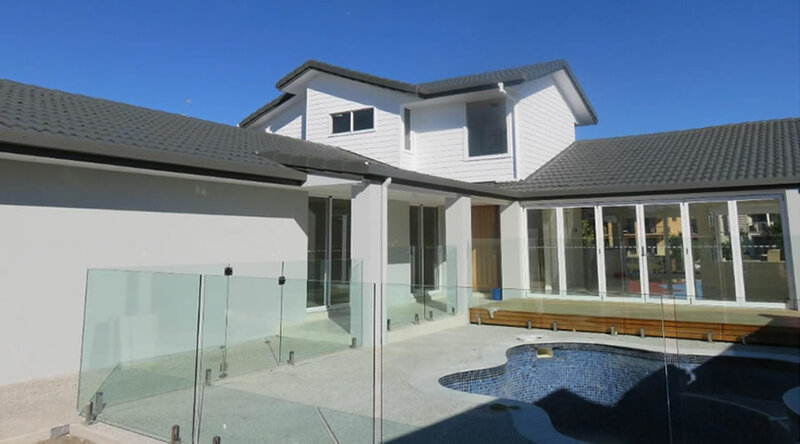 Our tradesmen recently completed this home roof restoration in Robina. 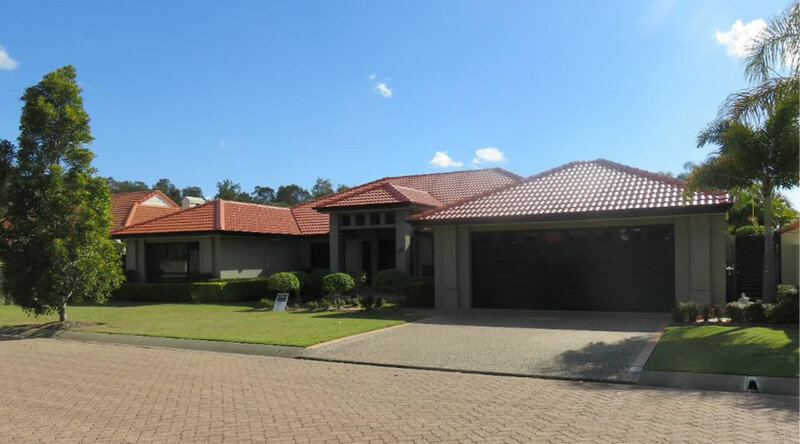 We pressured cleaned the roof, gutters, and fascias, replaced chipped, cracked and broken tiles, then fully re-pointed the roof, sealed and primed the roof, gutters, and fascias we then double coated the roof in Dulux Roof Membrane 962 in Ironstone. 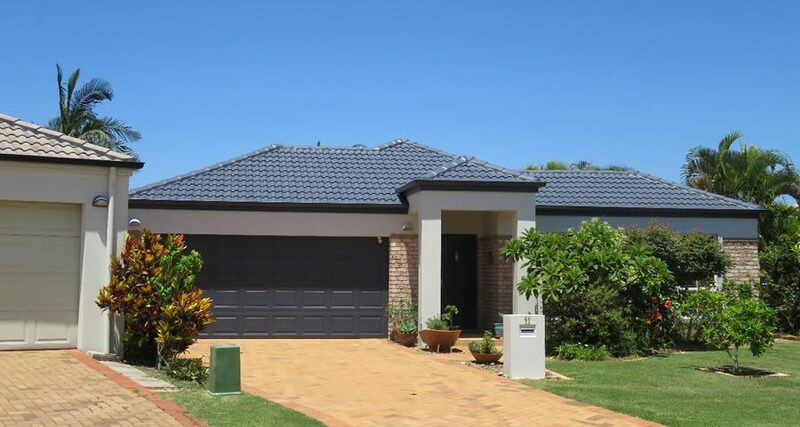 The guttering and fascias were also sprayed in Ironstone. 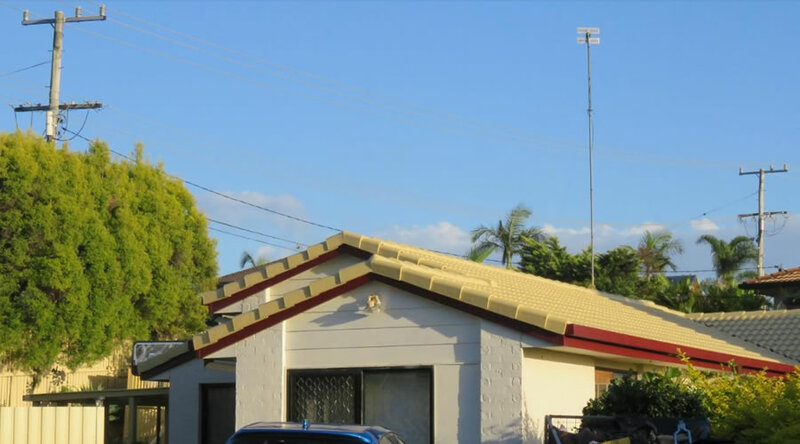 Our customers were extremely happy with the result of their roof make over. 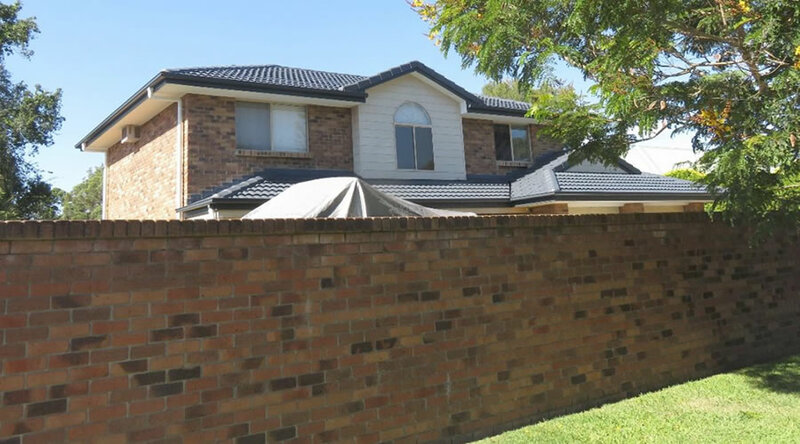 Affordable Total Restorations also offers a one stop shop so if you are looking to renovate the exterior of the property including house painting and gutter replacement. 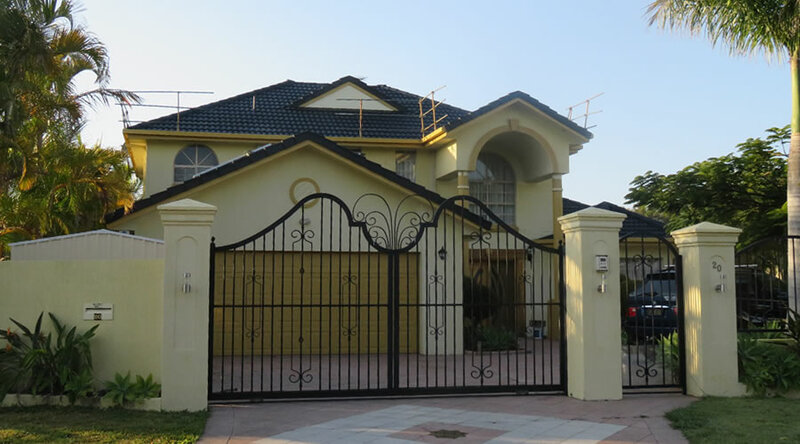 Call Affordable Total Restorations today for a quote.